Where would we be without Tradies? When we need something built, demolished, removed or improved, they provide the brains and muscle to get it done. They’re our backbone – so we need to help them look after theirs. 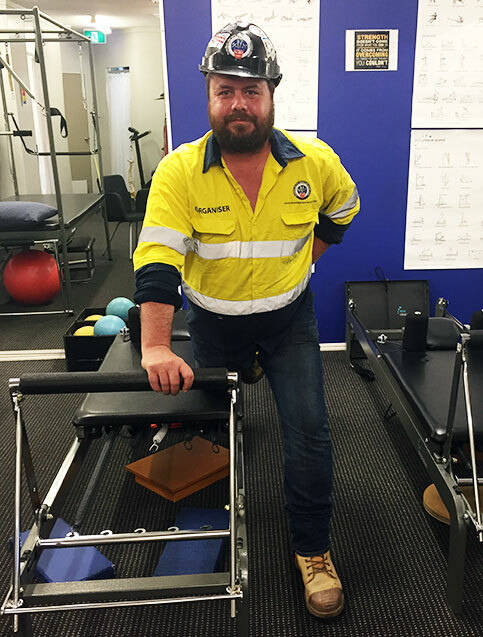 It’s no secret that Tradies are at a heightened risk of suffering injuries as a result of their repetitive and demanding physical work. 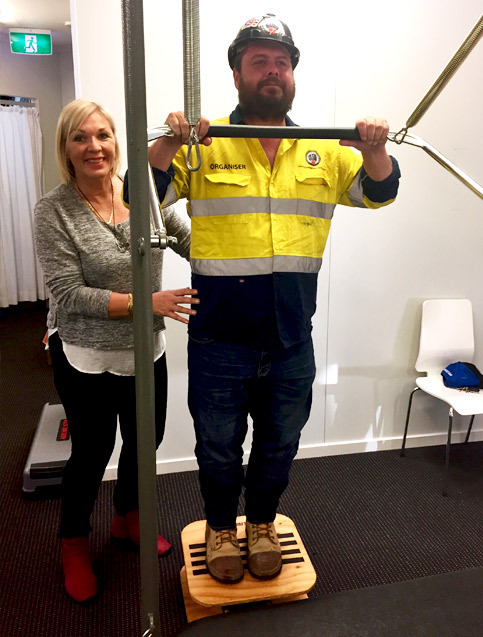 A staggering 42% of construction workers commonly suffer from back, nerve and chronic pain injuries according to Worksafe Queensland. Sadly, I’ve lost count of the number of tradies I’ve helped who’ve been injured on a worksite. All too often, their stories are the same. They’re the loyal work-mate who gets the job done and doesn’t want to let anyone down, so they push through the pain and injure themselves. They’re battling financially and the stress is putting a strain on their relationship. Loved ones tell me “he’s a different man after his injury”. Kids question why their handy parent can’t suddenly fix their bike or kick the footy with them anymore. They’ve been told to toughen up or snap out of it, the reality is they would love nothing more than to get back to work. They never thought this would happen to them. For me, the most concerning thing is that most workplace injuries can easily be prevented. It’s an issue very close to my heart because I’m a Tradie’s lady myself – a proud one at that. It warms my heart to see my kids light up when they hear their Dad’s ute pull up and leap into his arms after a long day’s work. It’s those priceless moments that I hope remind my Tradie, and yours, to put their health and wellbeing first. Tradies National Health Month is a valuable reminder to look after yourself and others in the workplace not just throughout August, but for your entire working life so you are returning safely to those you love each and every day. Just when you thought you couldn’t be any more spoiled for choice when it comes to deciding where to dine at The Kitchens (there are over 30 fresh food retailers, cafes, restaurants and bars, after all), the food playground is throwing another contender in the mix. This restaurant-meets-bar has been taking shape behind closed doors for the past few months, and is now adding the finishing touches before it opens to the public in the coming weeks. Dubbed as a gastro-pub (think top quality restaurant food being served in a casual pub-style setting), Malt House is set to be a popular addition to The Kitchens’ dining portfolio, particularly with those whose idea of a perfect day out involves sipping on a cold brew and enjoying gourmet fare. In case the name didn’t already give it away, Malt House will specialise in all things beer – with an impressive selection on tap and an even bigger range of the bottled variety. From the signature Malt House ‘The Kitchens’ Lager, to a dizzying assortment of local, craft, gluten-free and international brews (some of which you may never have even heard of! ); patrons will have a tricky decision ahead of them when it comes time to order. The pub will also feature a dedicated keg room, which will be on display for all to see. And while ale may be the star of the show, Malt House will also dish up a formidable gastro fare menu, putting a modern spin on classic pub faves. Although the full menu is still under wraps, diners can expect everything from slow cooked lamb shank pie, to panko and Parmesan crusted pork schnitzel… even the traditional Sunday Roast is set to make a welcome appearance. When I dropped my daughter off to school today, her teacher was nowhere to be seen. First bell came and went, then second bell, then the third ‘seriously guys, class has started’ bell sounded, without her teacher making an appearance. This was unusual, as he’s always early. A few of us parents hung around so we didn’t leave the next-door teacher to deal with 50 youngsters on her own, and before long the vice principal bounded in. Twenty-five grade one students suddenly sat up straighter and fixed their attention on Miss G, the way kids do when someone Important enters the room. Charming, bright and warm, Miss G is lovely and the kids light up when she’s around. My daughter smiled at me when Miss G announced she would guide them through some reading while they waited for the substitute teacher to dash to school. And so I left. On my way out of the gates, I saw another teacher sitting with a student who was obviously having some trouble settling in that day. Then I spied some parents chatting with the music teacher, whom my daughter declares is “so cool” for playing them a Trolls song during music class. You see, we agonised about this decision. We read every article known to man about private and public school. We looked up ratings and NAPLAN results, and we wondered whether we were selfish to prioritise holidays and weekend takeaways over private school fees (because budget-wise, we knew it was one or the other). In the end, we chose our local public school and we could not be happier with our choice. It costs $8,700 per student to get an education at this school, but because it’s public the government foots the tab, and we pay a few hundred dollars per year for uniform, books and excursions. And do you know what I’ve come to realise? There are brilliant teachers and principals at public schools, and there are brilliant teachers and principals at private schools. Some private schools have seriously ordinary bullying policies; others excel in this area. Some public schools have very limited foods available in the tuckshop; others have inspiring cooking programs. Most private schools have incredible facilities when it comes to music and drama and science. Many public schools need air-conditioning. This morning, we woke up to the tragic news none of us wanted to hear. The body of 7-year-old Australian boy Julian Cadman has been found in Barcelona. He was a victim of a cowardly terror attack that killed more than a dozen people. All weekend, I had one eye on the news. While I played puzzles with my kids and made them sandwiches for lunch, I glanced at my phone, hoping for a positive outcome for the Cadman family. My heart sank this morning when I saw that hope was dashed, and that the little boy hadn’t made it. I hugged my kids closer. I cried. I didn’t even react when my four-year-old had an epic tantrum instead of cleaning up her toys. Running through my mind on loop was the same thought: How do you possibly survive the loss of your child like this? I have no answers. There are no words to comfort his grieving parents, or his family, or his friends in grade 2 at St Bernadette’s Catholic Primary School in Sydney. It has made me contemplative, and today I wonder: is the world getting worse? Are we becoming more violent? Is the world more dangerous than ever before? When a family on holidays in Spain has their life destroyed in such a devastating way, these questions ring true. I don’t know if the world is getting crueller, or whether we’re just becoming more aware of it all, thanks to rapid media sharing and global communication. Terrorism is nothing new. Hate has always existed and terrorists have always tried to trade in fear. Nearly very single day, for decades (if not centuries) in various parts of the world, families have had their lives destroyed at the hands of terrorists. Each and every one of these people affected has the same devastating story of loss. We can feel buried under the weight of this tragedy, as I did today. And, we can also try to feel grateful for everything we have. We are so blessed to live on the Gold Coast, in relative safety and stability. We can also focus on the heroes in this story – like the elite police officer who shot and killed four of the terrorists responsible, and Fouad Bakkali, a pharmacist, who locked up his shop with 50 terrified tourists inside, including Julian’s seriously injured mother. It was the news none of us wanted to wake up to today. Rest in peace little Julian.